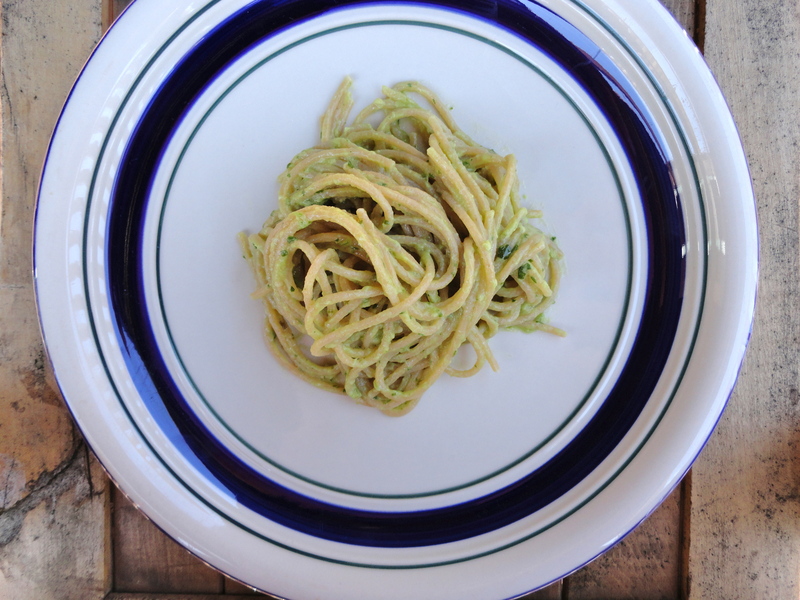 Creamy Avocado Pasta in 15 Minutes! It occurred to me last week that I’m turning 31 (welp) and I haven’t had a physical in years. That, and my dentist’s office had officially reached stalker status, calling me every week to see if I could come by for my very overdue cleaning. So, I made last Wednesday my “annual day.” You know, minus that awkward lady appointment. That afternoon I arrived at the dentist’s office, flossed and ready to be told that I had zero cavities. Unfortunately, after an hour driving into the suburbs while chugging a venti latte, I had to go to the bathroom. Like, I absolutely cannot hold it while you tell me to “rinse and spit,” kind of urgency. I checked in with the receptionist and made my way to the back of the office. When I opened the bathroom door, I found the dentist. Why didn’t I knock, you ask? Well, why wasn’t the door locked, I ask. After all that, I was told that my usual hygienist was out sick and that the dentist (that I walked in on) would have to do my cleaning. It was awkward. It was so so awkward. Carbs. Hot carbs with cream sauce. A no fuss kind of meal that can preferably be eaten while spooning a pillow and someone braids my hair. But the latter might be just for me. This dish is quite creamy, practically indulgent. After a few spins in the food processor, the sauce comes together; layers of flavor eager to be deciphered. It starts with the bright citrus notes from the lime, delicately intertwined with its partner, cilantro, only to leave you with a bit of heat at the back of your throat from the jalapeno. Toss it with nutty, whole wheat spaghetti and it becomes a meal that you won’t mind slurping up at the dinner table. Just be sure to keep a napkin or two on hand. Bring your pot filled with water to a boil. It’ll go faster if you place a lid over it and just let it sit, trying not to take the lid off to inspect. While you wait for your water to come to a boil, make the sauce. Add the avocado, lime juice, chopped cilantro, jalapeno (if using), salt and olive oil to your food processor. Process the ingredients until the mixture is smooth. Set aside. When the water’s boiling, add your pasta and cook until al dente. *You may want to turn the burner down to medium so that the pot doesn’t overflow. When the pasta is al dente, drain in a colander then dump back into your pot. Add the avocado sauce and toss until all the noodles are coated. Unfortunately, this pasta does not keep as leftovers so enjoy it while you can! I envy you for the pasta but NOT the dentist experience! 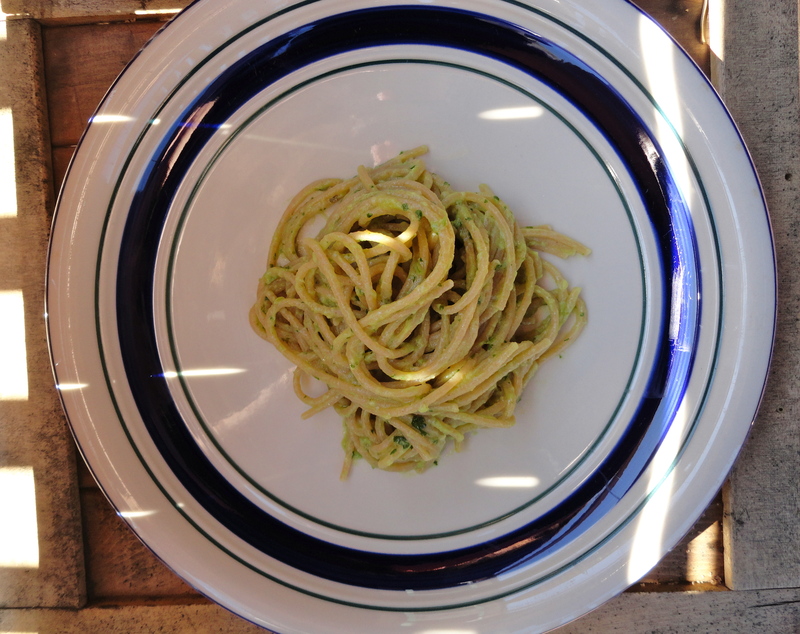 I never would have thought to sauce pasta with avocado but I bet it’s great–so creamy! It wasn’t the best day. But! The pasta did make up for it. I love this sauce, so so much. And if I didn’t have the cilantro or jalapeno, I think I’d still make it! Maybe with baby spinach. The possibilities are kind of endless.